Join Surgeons of Hope at the SoulCycle studio on June 14, 2018 at 7:00 pm for an exciting evening! Get your hearts pumping for a great cause, as all proceeds go towards our efforts in saving the lives of children in Latin America suffering from heart disease. Please expect to arrive between 6:30 pm to 6:45 pm. Individuals at all activity levels are welcome. We hope to see you there! You can book your tickets here. 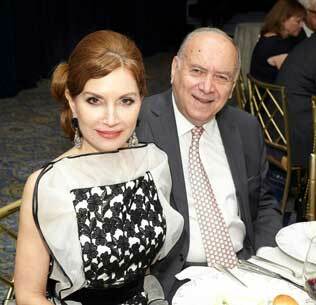 153 guests attended the gala dinner and charity auction to benefit surgeons of hope (SOH) and to honor the memory of Michel Berty, one of the most influential board members of the Foundation. The Gala began with a video tribute to Michel Berty, who passed away in February. 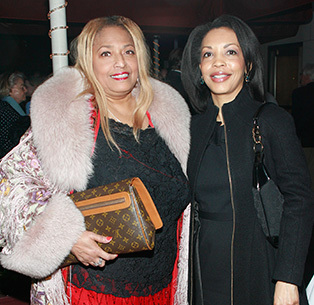 The evening also included comments from SoH’s President Dr. Da Cruz; SoH’s Board Member Michel Longchampt; SoH’s Executive Director Charles-Edouard Catherine; graceful transitions by our emcee and CNN Entertainment Reporter Chloe Melas, and a Live auction led by Christina Williams from Sotheby’s. The beautiful salon of le Bernardin Prive brightened the evening for our guests, who were welcomed with champagne donated by Mario Rinaldi. A four-course meal by Chef Eric Ripert followed, each course paired with wine donated by Acker Wine to accentuate one’s dining experience. Witty and charming bidding during the live auction rewarded several guests with vacations to Panama and the South of France, including business-class tickets donated by Air France; a lithograph by Joan Miro and exceptional wine packages. Organizing an event such as this one wouldn’t be possible without the key contribution of our Gala committee and the great work of our staff. Thank you all for making this possible! A special thank you to: Acker Wine, Air France, Publicis Health, l’Oreal, Jean-Pierre & Michele Altier, Karine Anidjar, Orly Beigel, Patricia Cartin, Paul Chaffard, David and Tal Chitayat, Yann Coatanlem, Jules Coulaud, Arnaud de Vienne, Donald and Ana-Clemencia Fox, Adeline Granerau, Wilfrid Groizard, Thierry Huck, Andre and Kathleen Istel, Martin and Jean Shafiroff, Michael and Allison Katz, Michel and Odile Longchampt, Daniela Nikolova, Judith O’Neill, Robert and Pascale Pine, Fred and Nancy Poses, Matthieu Salvignol, Sophie Schyler, Dr. Michael and Mary Ushay and David and Jane Walentas. 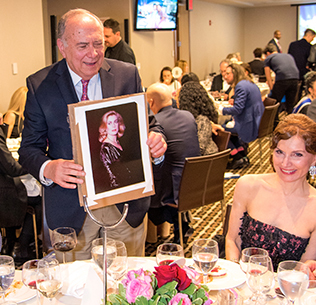 151 guests attended the gala dinner and charity auction to benefit surgeons of hope (SOH) and to honor Philip Glass, one of the 20th century’s most influential composers. The evening began with a tribute to Jimmy Kimmel’s newborn son, William, who underwent a successful heart surgery for a congenital heart defect. Throughout the evening, we celebrated the fashion forward thinking and elegant designs of Henry Picado, the legacy of music from Philip Glass and the life-saving work of doctors who travel on behalf of our organization and mission. The evening also included comments from SoH’s President Dr. Da Cruz; SoH’s Board Member Dr. Ushay; SoH’s Executive Director Charles-Edouard Catherine; graceful transitions by our emcee and CNN Entertainment Reporter Chloe Melas, and Live and Dutch auctions led by Jennifer Wright from Christie’s. The ornate chandeliers and artwork at Central Park South’s Essex House brightened the evening for our guests, who were welcomed with hors d’oeuvres and champagne donated by Mario Rinaldi. A three-course meal followed, each course paired with wine to accentuate one’s dining experience. Witty and charming bidding during the live auction rewarded several guests with vacations to Burgundy and the South of France, including business-class tickets donated by Air France; a custom-made dress by designer Henry Picado; and scores signed by Philip Glass. Organizing an event such as this one wouldn’t be possible without the key contribution of our close friends Orly Beigel and Henry Picado, and the great work of our staff. Thank you all for making this possible! You can view the best pictures of the Gala HERE. A special thank you to: Air France, Publicis Health, Vendome, Mr. & Mrs. Altier, Karine Anidjar, Vih Augusto, Orly Beigel, Patricia Cartin, Paul Chaffard, Mr. and Mrs. Chitayat, Yann Coatanlem, Jules Coulaud, Arnaud de Vienne, Mina Deutsch, Mr. & Mrs. Fox, Adeline Granerau, Wilfrid Groizard, Thierry Huck, Joel Isaacs, Mr. & Mrs. Katz, Mr. & Mrs. Longchampt, Mr. & Mrs. Maisonrouge, Jose Manuel Cruz, Henry Picado, Mr. & Mrs. Pine, Matthieu Salvignol, Sophie Schyler, Barbara Sibley, Peace Simon, Alexandra Spirer, Dr. & Mrs. Ushay, Mr. and Mrs. Walentas and Wen Zhou! Thank you for making our fourth annual gala, “A Night for Hope,” a great success! show! Jairo Arrieta, a Costa Rican soccer star, was our honoree for the evening. And thanks to Chloe Melas of CNN for serving as our master of ceremonies. Surgeons of Hope is profoundly grateful to ESTE & CHLO, and to Mr. Picado for his generosity and depth of caring. We raised close to $200,000 for the children of Latin America. Thank you. 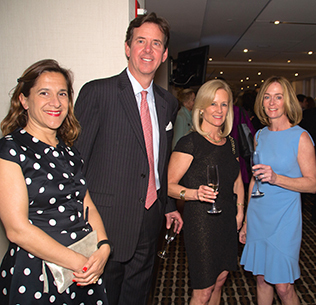 SURGEONS OF HOPE’S ANNUAL HOPE CHARITY GALA RAISES over $200,000 TO SUPPORT ITS LIFESAVING PROGRAMS TO HELP CHILDREN WITH HEART DISEASE IN REMOTE REGIONS OF CENTRAL AND SOUTH AMERICA. 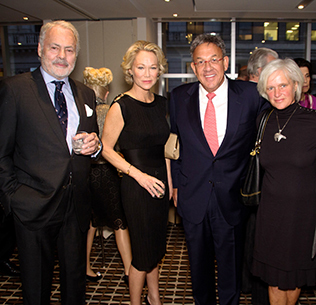 116 GUESTS ATTENDED THE GALA DINNER AND CHARITY AUCTION TO BENEFIT SURGEONS OF HOPE AND TO HONOR PUBLICIS CEO NICK COLUCCI AND LET IT BEAT FOUNDATION. Highlights of the evening included a champagne reception, the premiere of a new film documenting the work of SoH, a mission overview presented by SoH President Eduardo da Cruz, MD, of Children’s Hospital Colorado, and the presentation of awards to the honorees. The evening also included comments from SoH Executive Director Charles-Edouard Catherine and Live and Dutch auctions led by Antoine Treuille. The bright lights of Fifth Avenue added elegance to the setting, accentuated by floral arrangements donated by Alix Astir. Guests were welcomed with champagne donated by Pernod-Ricard. A four course dinner followed, each course paired with an appropriate fine wine, donated to create the perfect dining experience. Lively auction bidding rewarded the winners with vacations in the North and South of France, including business class tickets donated by Air France, and an IWC chronograph watch. 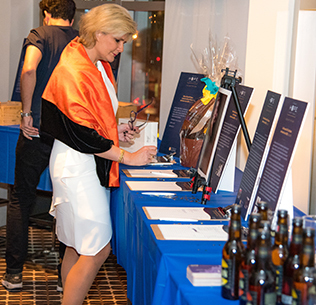 The silent auction included magnums of fine wines, gift certificates to the best of New York restaurants, brim-filled cosmetic baskets, a hat box full of chocolates, and more. Grand Sponsors of the evening included: Air France, Mr. and Mrs. Michel Berty and Publicis Group. Individual Benefactors included: Mr. Jean Denoyer and Ms. Karin Hehenberger; James Jaggers, MD; Mr. Jean Karoubi and Michelle de la Mothe, MD; Mr. and Mrs. Michel Longchampt, Mr. David Sadroff; Mr. Andre Spears and Ms. Anne Rosen; and Mr. Jean-Luc Teinturier. 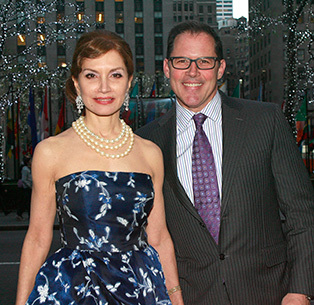 The second Annual Hope Charity Gala was hosted at Brasserie Ruhlmann in Rockefeller Plaza on Sunday, May 4 2014. Honoring philanthropist Jean Shafiroff and Kevin Hughes, clinical cardiovascular specialist for Edwards Lifesciences, the event afforded the 130 guests in attendance an exclusive opportunity to sample a delightful four-course spring menu created specifically for the occasion by Master Chef Laurent Tourondel. 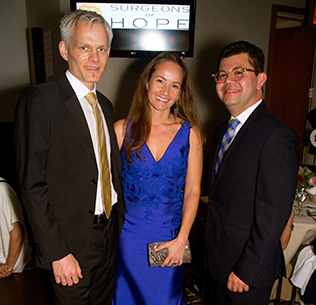 The Hope Charity Gala raised over $200,000 in donations that will support the equipment of its new cardiac center in Managua, Nicaragua as well as increased surgical missions to treat children in developing countries around Latin America. The Art Deco setting of Brasserie Ruhlmann’s main dining room and elegant terrace were accented by beautiful floral designs donated by Alix Astir, founder of New York’s Trellis Fine Florals. 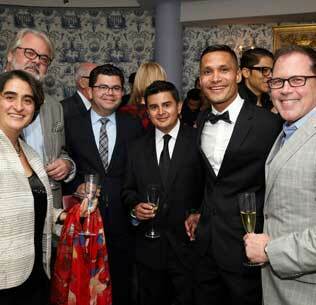 Guests were welcomed with Champagne Paul Goerg Premier Cru and chocolates by La Maison du Chocolat. This was followed by a four-course dinner, with each course paired with choice wines to create the ultimate gastronomic experience. 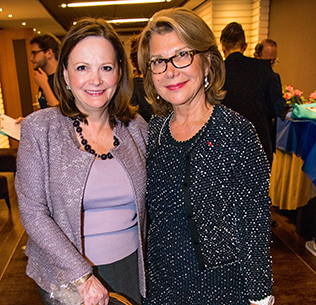 The spirited live auction featured an array of experiences that celebrate the joie de vivre, including luxury stays at a chateau in Burgundy and a week in Bordeaux with airfare provided by Air France. Surgeons of Hope would like to thank Publicis Groupe, Air France and Brasserie Ruhlmann for making the Gala possible. We would also like to thank all donors who participated in the silent, live and Dutch auctions, as well as those who made independent donations to Surgeons of Hope. 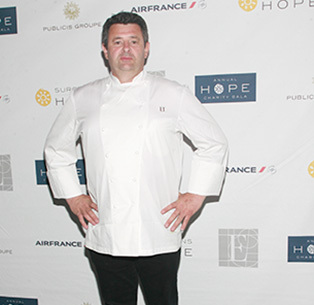 The first Annual Hope Charity Gala was hosted on April 15, 2013 at the Michelin-starred restaurant, Le Bernardin. 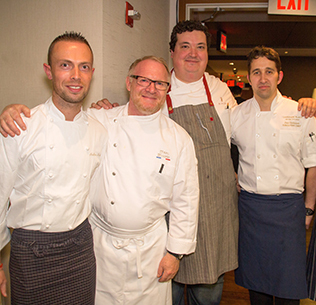 The gastronomic event featured a champagne welcome for the 90 guests and a five-course meal created by world-renowned chefs Eric Ripert and Marc Meurin. Three auctions occurred throughout the course of the evening, including a Dutch auction in which guests sponsored 7 syringe pumps, 3 pacemakers, and 5 open-heart operations. The Gala was a resounding success. Thanks to the generosity of our guests and sponsors over $155,000 was raised to provide life-saving cardiac surgery to children in need in Latin America. 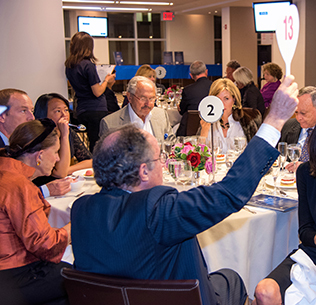 Surgeons of Hope would like to thank Publicis Groupe, Philips, Le Bernardin, and l’Institut Saint Jude for making the Gala possible. We would also like to thank all donors who participated in the silent, live and Dutch auctions, as well as those who made independent donations to Surgeons of Hope.